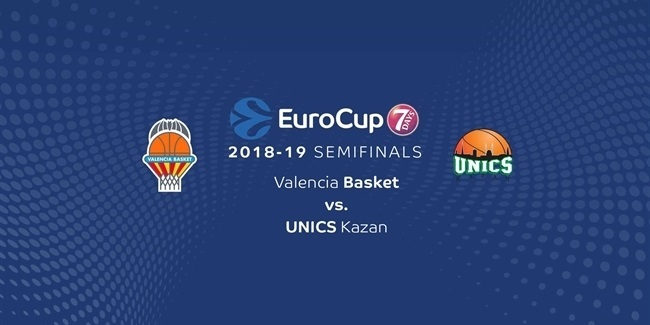 It is a 7DAYS EuroCup tradition; UNICS Kazan will play on after the regular season. 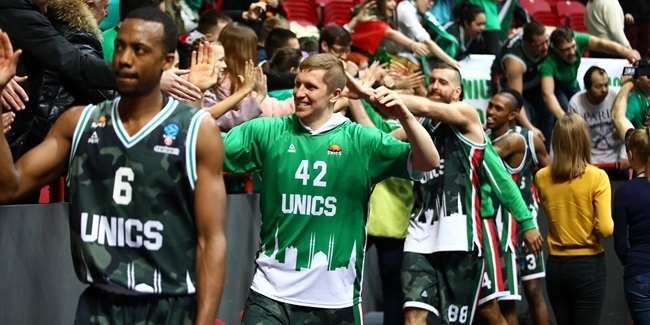 One of the competition's storied clubs, UNICS has competed in the latter stages of the EuroCup in each of its 11 full seasons in the competition. The only time UNICS did not win a top spot in the EuroCup Regular Season was the 2014-15 season when it did not compete. That season the team went straight to the Top 16 after being eliminated from the Turkish Airlines EuroLeague Regular Season, under the two combinations' previous formats. UNICS defeated Mornar Bar 90-73 on Wednesday and dominated all aspects of the game. It had five players who scored at least 12 points. The team collected 14 steals, which tied its second-best mark in the competition. And UNICS only committed 10 turnovers, while pressuring Mornar into twice as many turnovers (20). 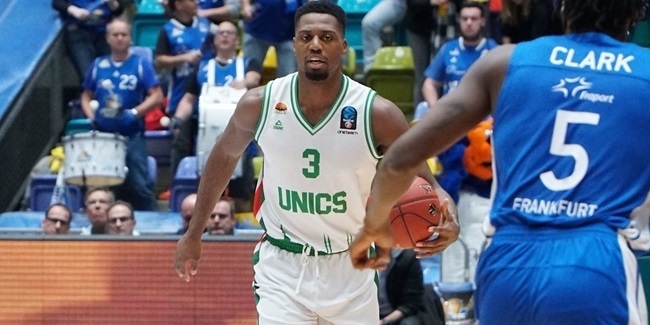 When the dust settled, UNICS had once again advanced to the Top 16 due to its 2-0 record against Mornar and the fact that the Russian powerhouse has beaten every opponent in its group - something that only LDLC ASVEL Villeurbanne has been able to do so far in the current EuroCup season. With this win, UNICS has a 71-19 regular season record and a 78.9% regular season winning percentage. That 71st win put UNICS in a three-way tie with Herbalife Gran Canaria and Valencia Basket for the most regular season wins in competition history. Gran Canaria needed 102 games to reach that number and Valencia did it in just 87, winning 81.6% of its games in the first group stage. While its impressive history is certainly something UNICS can be proud of, the is no more important fact than this: UNICS is the first team to clinch a berth in the 2018-19 EuroCup Top 16 and Coach Dimitris Priftis's men will continue on their road seeking EuroCup glory.